GRAND RAPIDS, Mich., Feb. 6, 2013--ArtPrize, the radically open, international art competition, today announced plans that will guide the organization into 2013 and beyond, including a new partnership experiment with the Walker Art Center in Minneapolis, Minn. called ArtPrize Pitch Night. 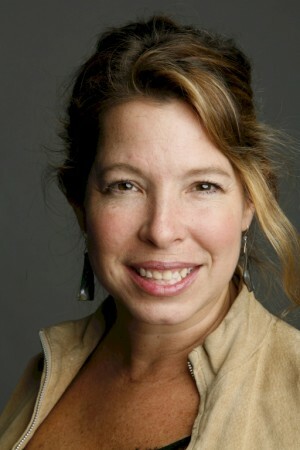 The organization also announced Anne Pasternak, president and artistic director of Creative Time, a public arts organization based in New York City, as its first of three jurors for the Juried Grand Prize. Concurrently, ArtPrize showed a three-minute trailer of a documentary film detailing the process behind the 2012 Juried Grand Prize, which is currently in post-production. With its mix of public voting and juried awards, ArtPrize explores the tension between the professional and populist in an epic conversation. The organization announced the fifth edition of the popular art competition would take place Sept. 18 – Oct. 6, 2013. Daryn Kuipers, interim executive director for ArtPrize, walked the standing room-only crowd of sponsors and partners through a recap of the 2012 event, which set records for engagement, including 47,160 registered voters who placed 412,460 total votes. Kuipers also reiterated the organization’s goal of becoming financially sustainable in 2013. “ArtPrize has followed the lifecycle of a startup company, rather than a traditional non-profit organization, and we are on track to break even in 2013,” said Kuipers. The organization announced ArtPrize Pitch Night. Modeled after the successful 5x5 Night series, which granted money to anyone with a creative idea, the new experiment will grant $5,000 to an artist or curator with an idea for a public space during ArtPrize 2013. Starting in May, ArtPrize will create a four-week open call for projects, targeting the Minneapolis art community. The organization has partnered with the Walker Art Center who will host the Pitch Night and provide five judges for the event. Finalists will have five minutes to make their case for the $5,000 grant. “ArtPrize is Grand Rapids, unequivocally, but we want to develop a program that will help cities and organizations engage and activate their artist communities, as well as explore new ways that will help artists bring their ideas to ArtPrize,” said DeVos. In its first presentation since becoming the sponsor of the ArtPrize Juried Grand Prize, Dr. David Rosen, president of Kendall College of Art and Design at Ferris State University, announced Anne Pasternak as the first of three jurors for the 2013 prize. With Pasternak at its helm, Creative Time has commissioned numerous public art projects, most notably, the “Tribute in Light” at the World Financial Center to honor the victims of 9/11. On March 11, 2002, twin beams of light shot seemingly miles into the sky, mirroring the footprint of the Twin Towers. “It's important to give artists the opportunities to experiment, to push and grow. Public spaces are for free expression, and artists matter in society and they should be weighing in on how we live,” said Pasternak, in a January 2012 feature in The Wall Street Journal. The six juried awards (five $20,000 prizes and one $100,000 prize) creates a purposeful dialog between the opinions of arts professionals and the public, focusing on the artists’ work. The remaining jurors will be announced in the spring, prior to artist registration. Most people are familiar with the process behind the public vote prizes: the person with the most votes wins. In 2013, ArtPrize will debut a documentary film showing the process behind the 2012 Juried Grand Prize. “As with all juried prizes, we received some questions as to how the jury came to their decision, and we decided to pull back the curtain through a documentary film,” said Todd Herring, marketing director at ArtPrize. The currently unnamed documentary will be offered to museums and other non-profits at no cost. The trailer is available on ArtPrize’s Vimeo page, www.vimeo.com/artprize. ArtPrize is an international art competition, open to any artist and decided by public vote. It invites artists to try out new ideas on a large and diverse population of people. It seeks to broaden the critical dialog around contemporary art by awarding the world’s largest art prize, at $560,000. Registered artists and venues match themselves at artprize.org, and the public votes for the winners using mobile devices and the Web. ArtPrize 2012 included 1,517 entries from 46 countries and 41 U.S. states and territories, as well as 400,000 active participants. 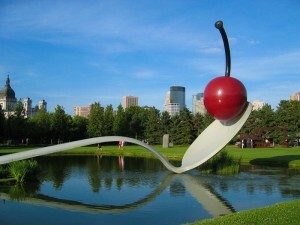 Since its inception, individuals of all backgrounds have cast more than 1.7 million votes for public art.